Ridge Paving Has The Specific Expertise & Equipment Required For Roadway & Parking Lot Paving. Big jobs require a commercial paving contractor with a lot of experience. They demand the same attention to detail and level of precision as smaller jobs, but require larger equipment and the knowledge of how to use it. From parking lots to major roadways, the team at Ridge Paving has the tools and expertise to take on any sized commercial paving job. Oil And Stone Vs. Asphalt – Which Is Right For Your Commercial Project? Asphalt parking lots are still the standard in the Northeast. The strength and durability of asphalt over time, especially its ability to stand up to our cold winters, makes it a sensible option for almost every type of project. In recent years however, oil and stone finishes have started appearing in more commercial applications. Oil and stone holds up just as well as asphalt, doesn’t require re-sealing, and offers a much more unique look. Which finish is right for you? If you’re tired of seeing the same old blacktop, maybe it’s time to break the mold with oil and stone. Not every commercial paving contractor maintains the special equipment required to produce oil and stone parking lots or roadways – most of them call Ridge Paving! Cutting Edge Tools Allow Us To Reclaim Or Repair Your Existing Parking Lot Or Roadway. Regardless of what condition your current parking lot or roadway is in, Ridge Paving has a solution. Tools like our infrared heating machine allow us to heat the surface material and fix minor damage without digging into the sub-base or cutting and replacing. If the surface truly can’t be repaired, we can reclaim the material and use it to strengthen the existing base and ensure that your new surface looks great for even longer. 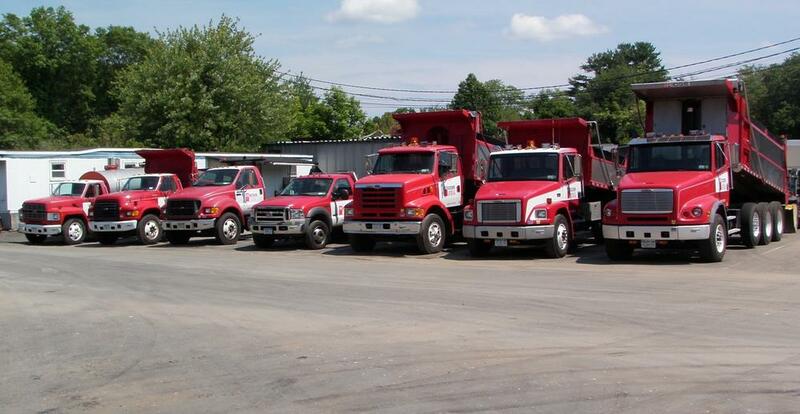 Trust A Commercial Paving Contractor With Over 60 Years Of Experience In Westchester & Fairfield Counties. Since Ernest Legge Sr. founded Ridge Paving in 1956, we’ve built a company culture around hard work and customer satisfaction. We’re a commercial paving contractor with a reputation for quality and more than half a century of experience to back it up. Ready To A Free Estimate From An Expert Commercial Paving Contractor?